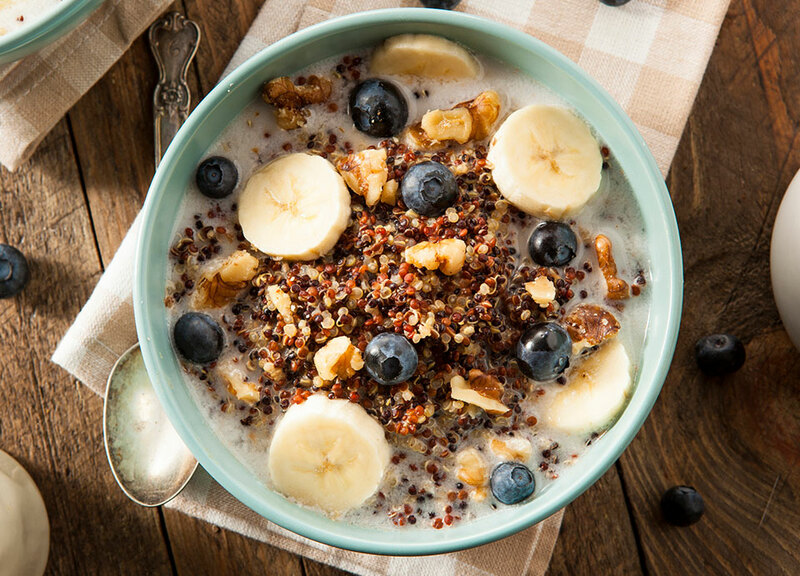 Think beyond traditional cereals and try this high-protein, high-fiber grain instead. On its own, quinoa is rather bland but if you take the time to spice it up to your liking, it makes a healthy and filling breakfast. Make a batch ahead of time to last for several days; you can simply add some more liquid and heat it up or take it to go with you. This healthful cereal takes minutes to prepare and provides long-lasting energy for your day.